PC version available at 40 percent off for 24 hours. D-Pad Studio will release Owlboy for PlayStation 4, Xbox One, and Switch on February 13, 2018, developer D-Pad Studio announced. The game will support 12 languages (English, Polish, Spanish, German, Italian, French, Russian, Protugese, Traditional Chinese, Simplified Chinese, Korean, and Japanese). 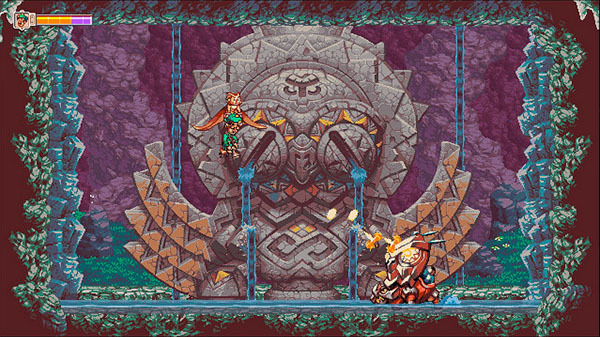 Earlier today, publisher Soedesco announced plans to publish a physical edition of Owlboy. Platforms and a release date for the physical edition have yet to be announced. The PC version of Owlboy is also available today at 40 percent off. This will deal will only last from today until tomorrow, November 2, at 10:00 a.m. PT. Watch the full D-Pad Bonanza special, which celebrates the one year anniversary of Owlboy‘s PC release, below.